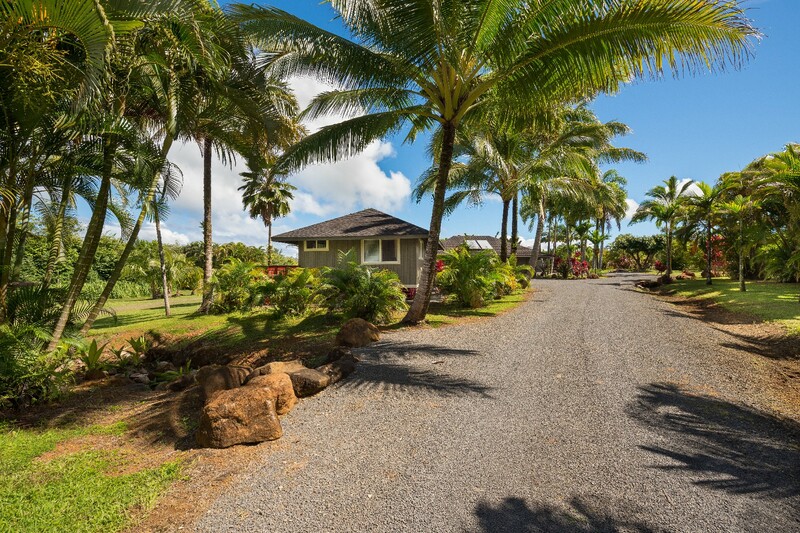 Visitors exclaim that this impeccable property has a resort feel. 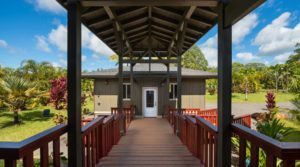 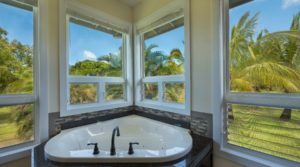 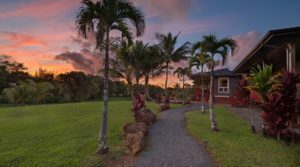 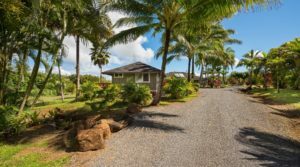 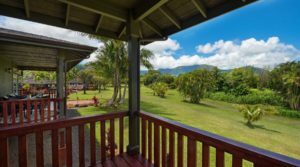 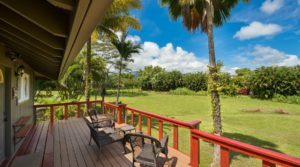 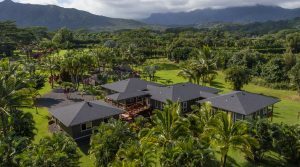 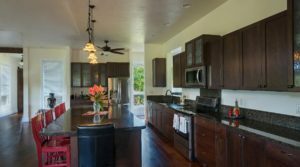 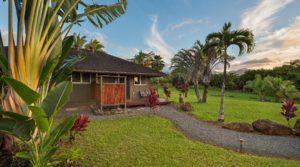 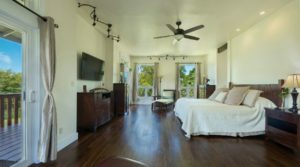 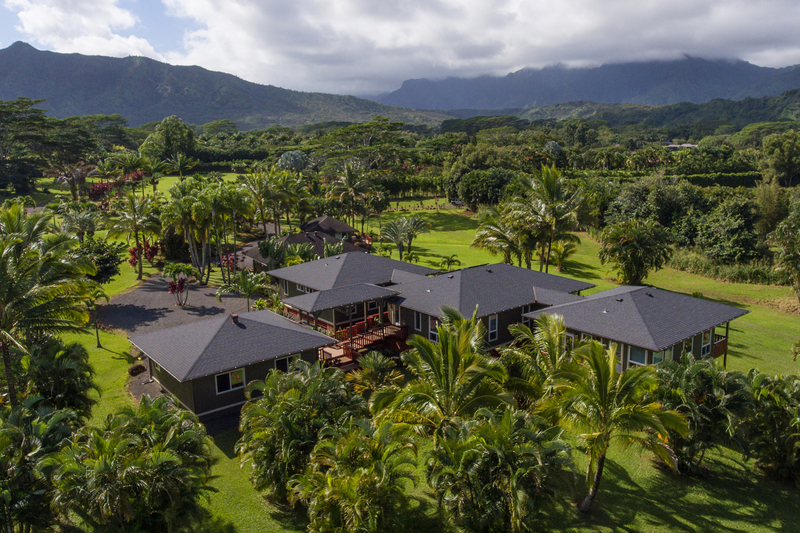 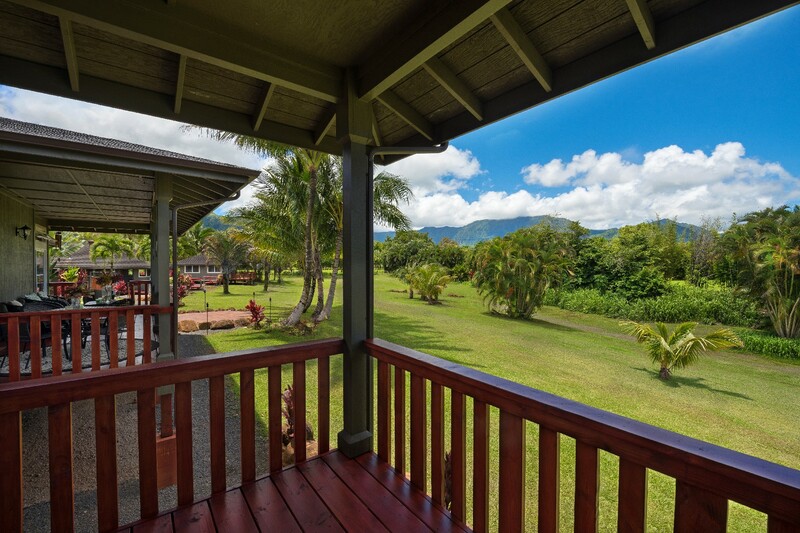 Virtually every room in the main home and guest house opens onto spacious lanais overlooking the expansive landscaped yard with beautiful mountain views. 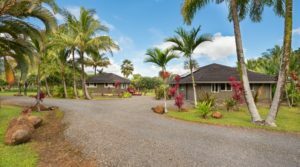 The compound is completed by a large garage and barn. 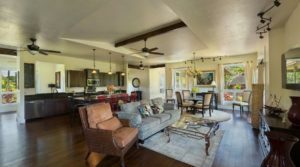 Practically new, the 3004 square foot main home received its certificate of occupancy in March 2016. 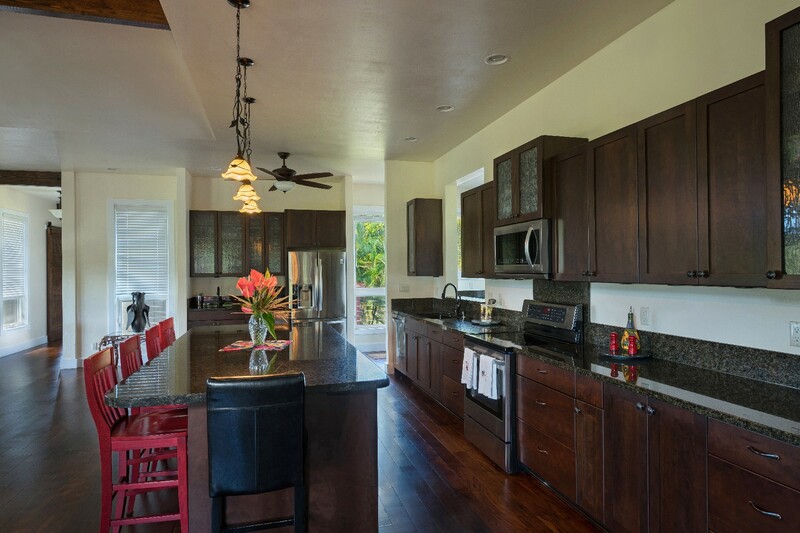 The kitchen features cherry wood cabinets, granite countertops and a stainless steel appliance package. 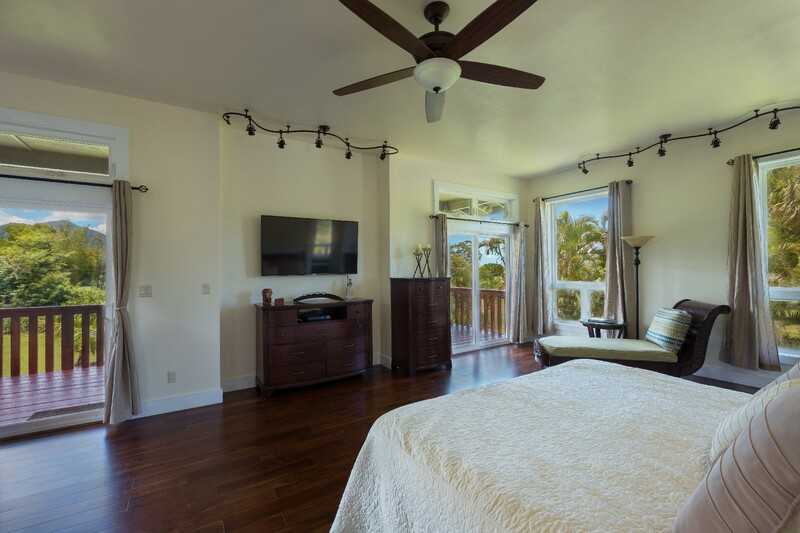 Throughout the home there are acacia wood floors, an upgraded lighting package and quality exterior window coverings. 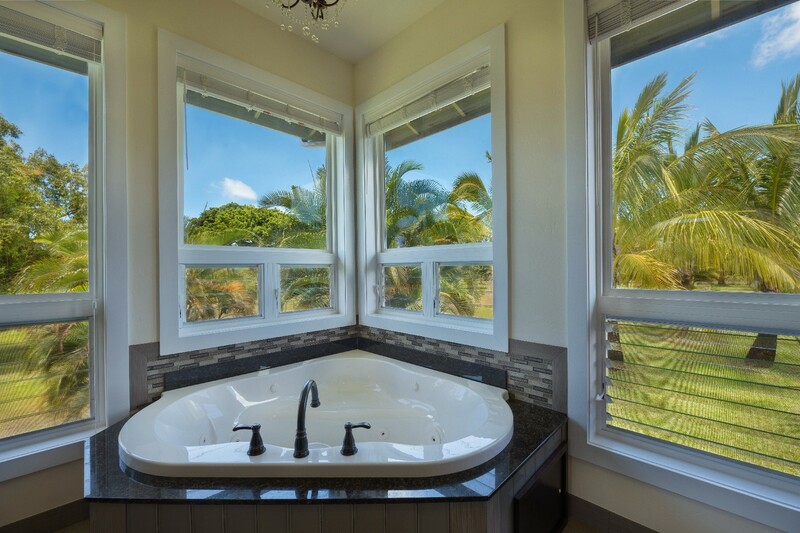 Each of the three bedrooms enjoys a private bath with frameless glass shower enclosures. 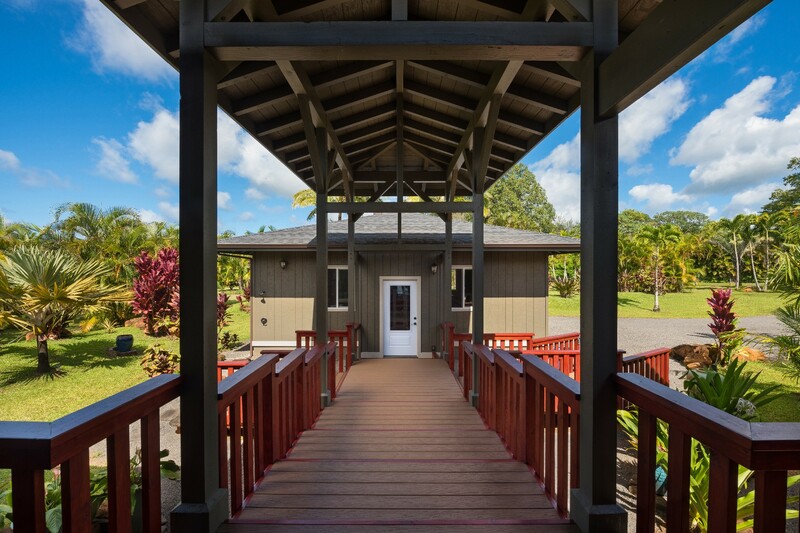 The home has solar water with propane on demand backup. 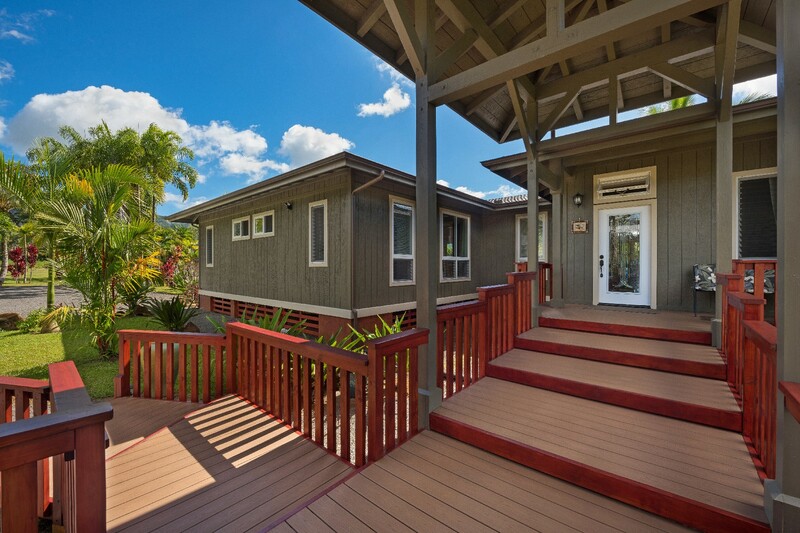 Built with pride by a master builder, there are 2×6 walls, solid wood doors, and gutters throughout. 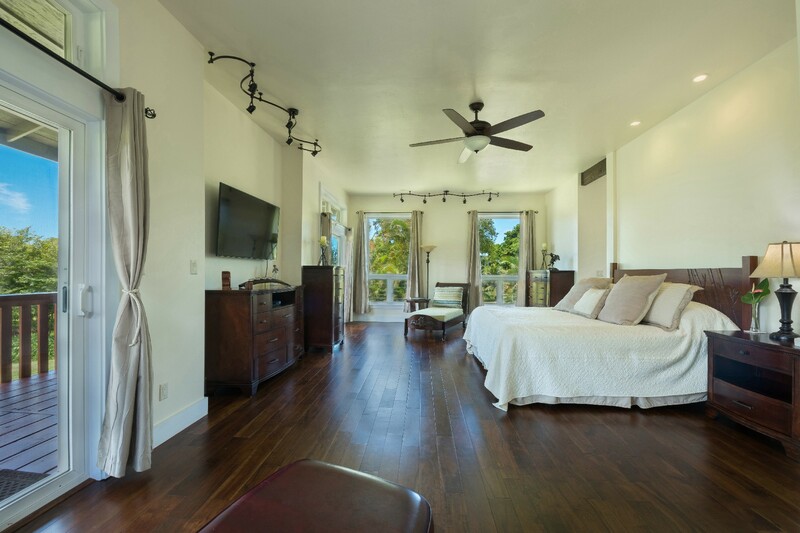 The roughly 500 square foot guest house consists of a bedroom, bathroom, and wet bar. 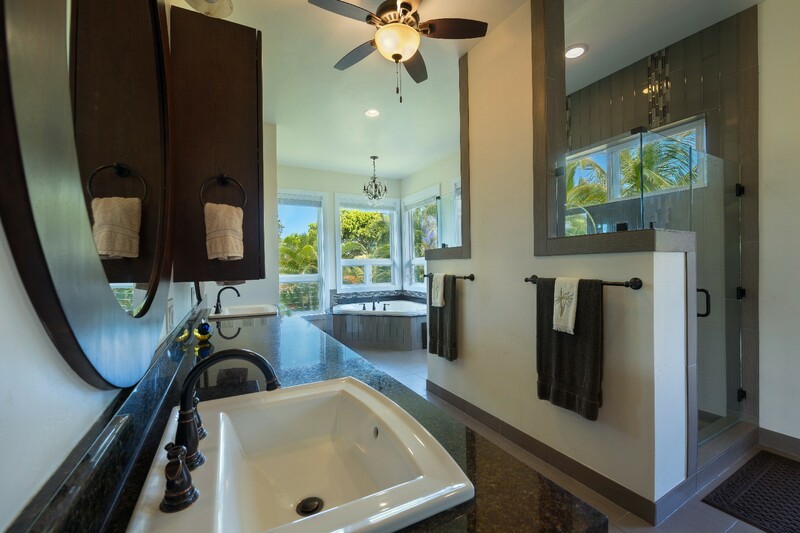 A gorgeous wood ceiling, ceramic tile floor, solid wood doors, and frameless glass shower enclosure give it a beautifully finished feel. 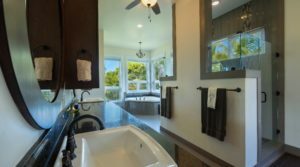 The 975 sq foot barn has a storage loft, bathroom, garage space, washer, dryer, utility sink and refrigerator. 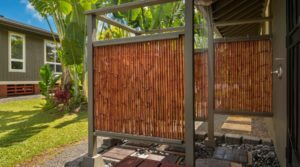 There is an outdoor shower and an 80 gallon solar hot water heater.Last but not least, the oversized 864 square foot two car garage proffers 10×8 garage doors. 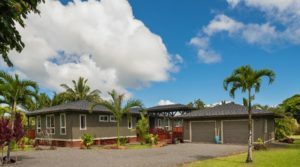 Unlike many homes in the area, the 3 bedroom 3 ½ bath main home and the 1 bedroom 1 bath guest house are elevated from the ground allowing for better air circulation and pest control. 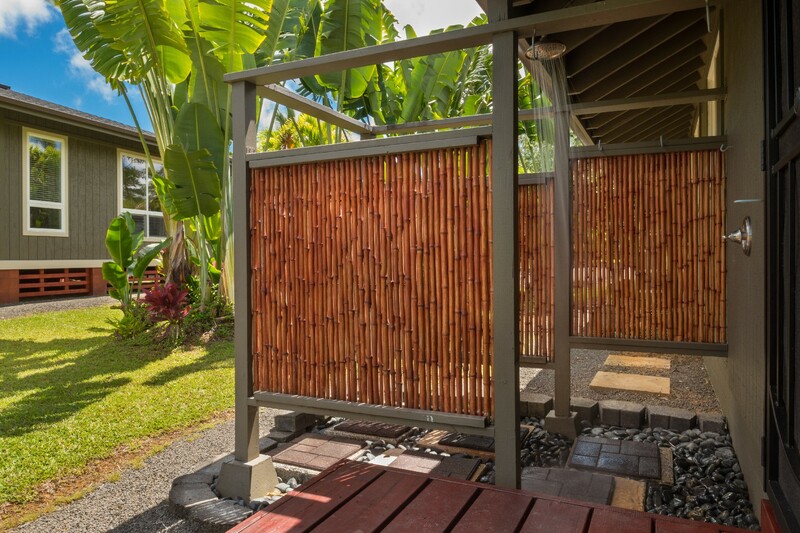 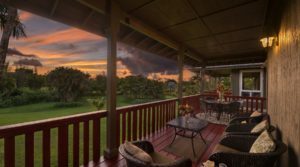 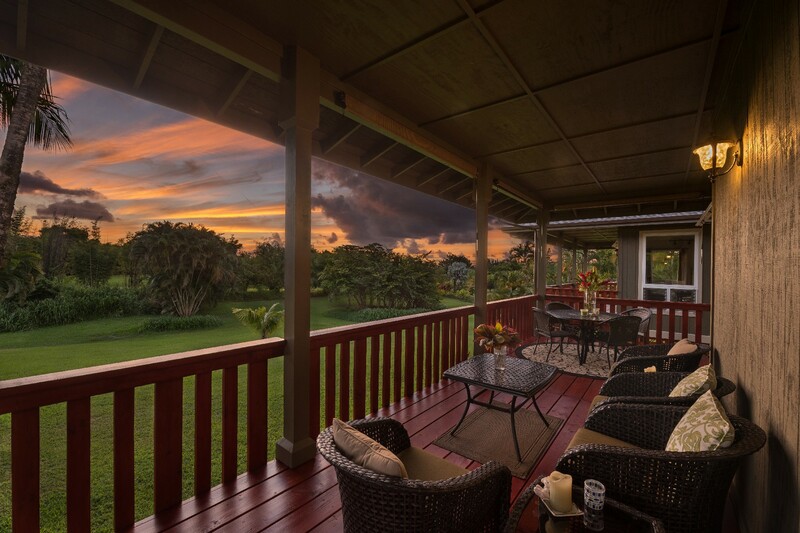 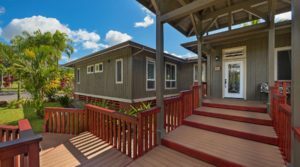 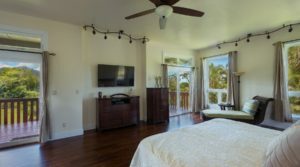 The expansive decks are a great place to view Kauai’s rainbows and sunsets. 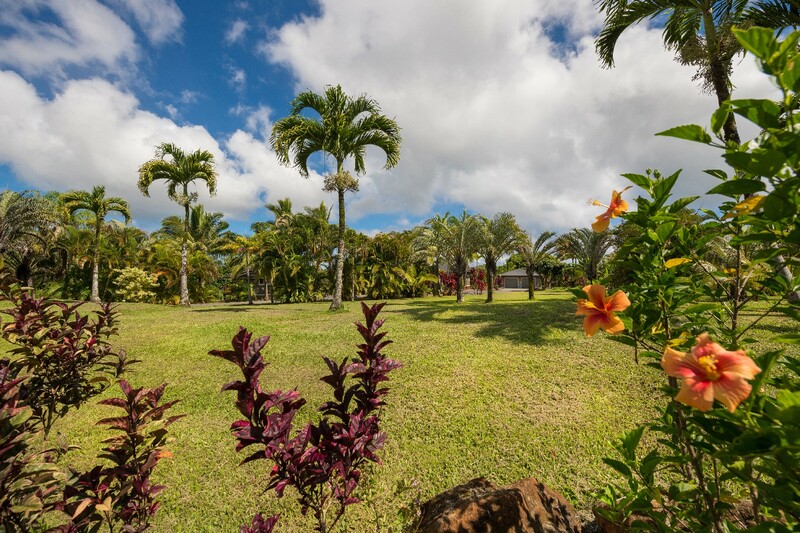 The expansive lawn experiences only a gentle slope. 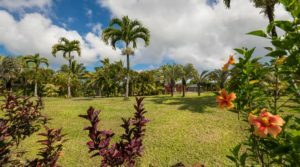 There are a variety of fruit trees. 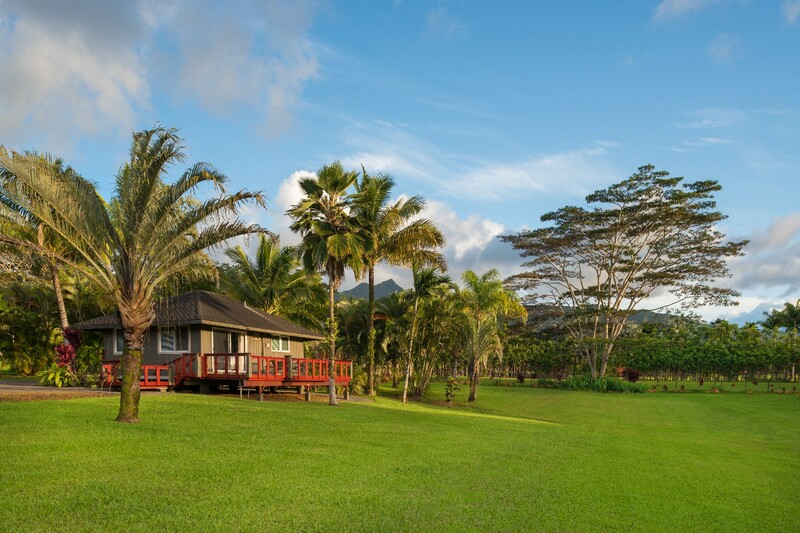 Beautiful Kalihiwai Ridge Reservoir is just a stroll away. 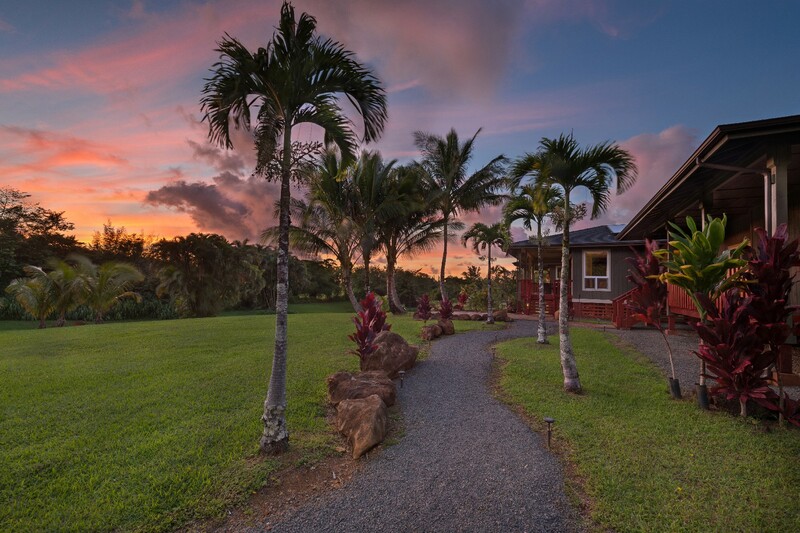 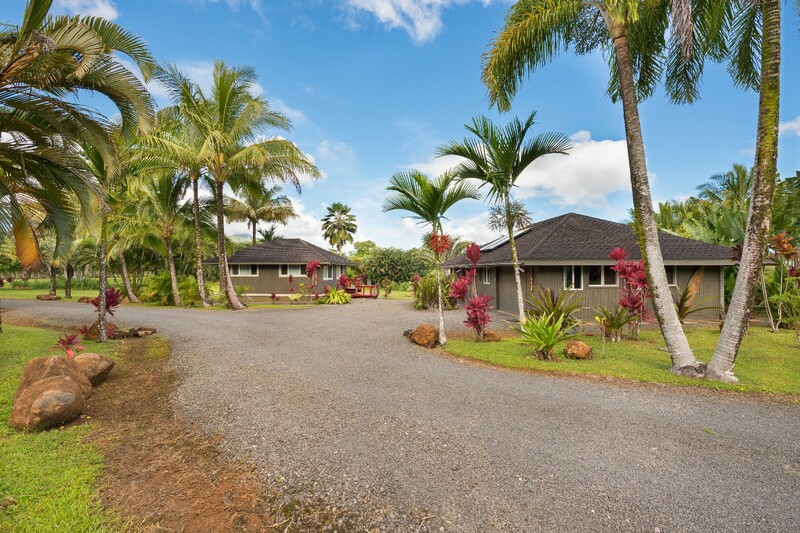 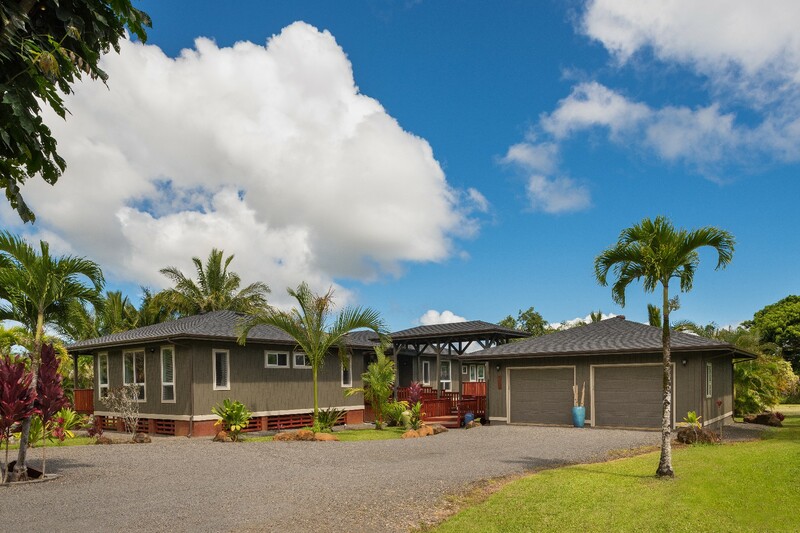 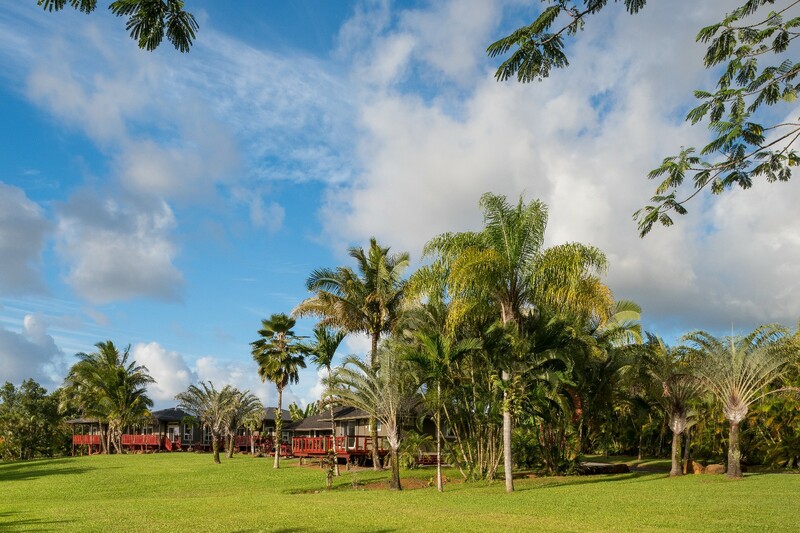 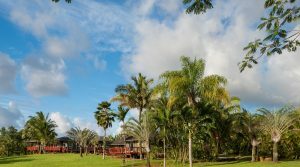 This Kalihiwai compound epitomizes the beautiful agricultural estates for which Kilauea is reknown. 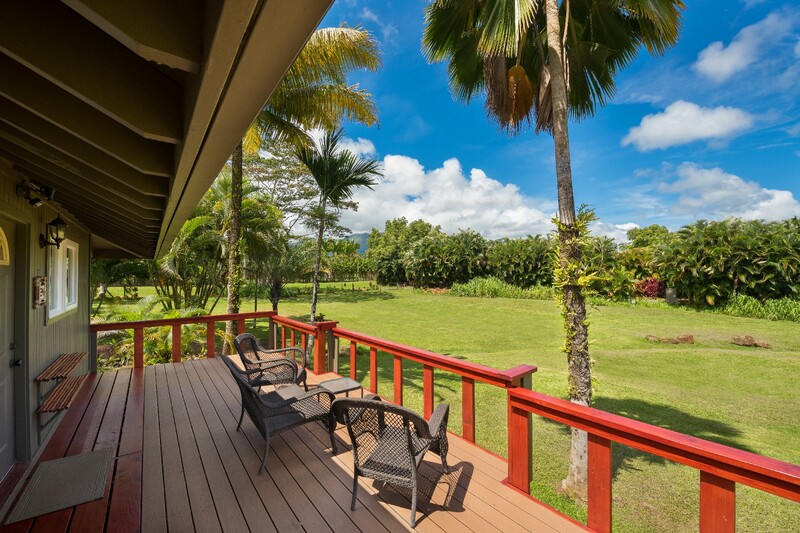 This beautiful property was Pacific Business News’ Home of the Day! 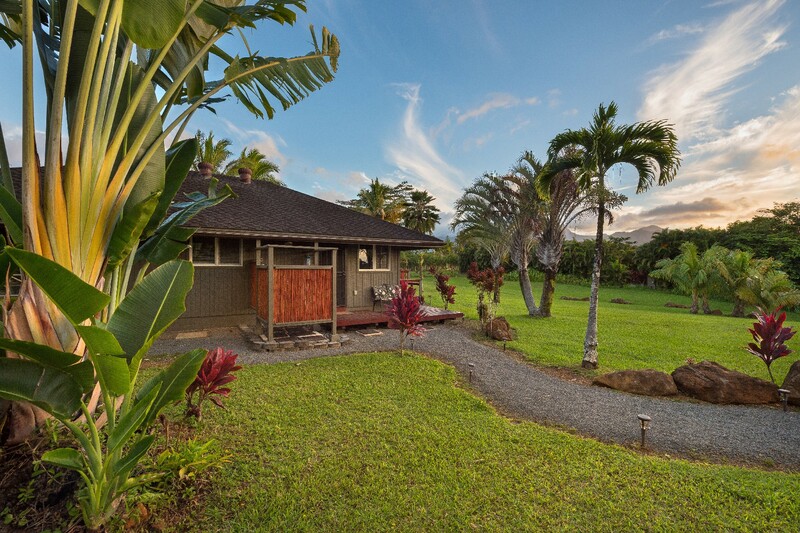 Call Moksha McClure Realtor(S) at (808)652-7387 to find out more about any property in Hawaii! 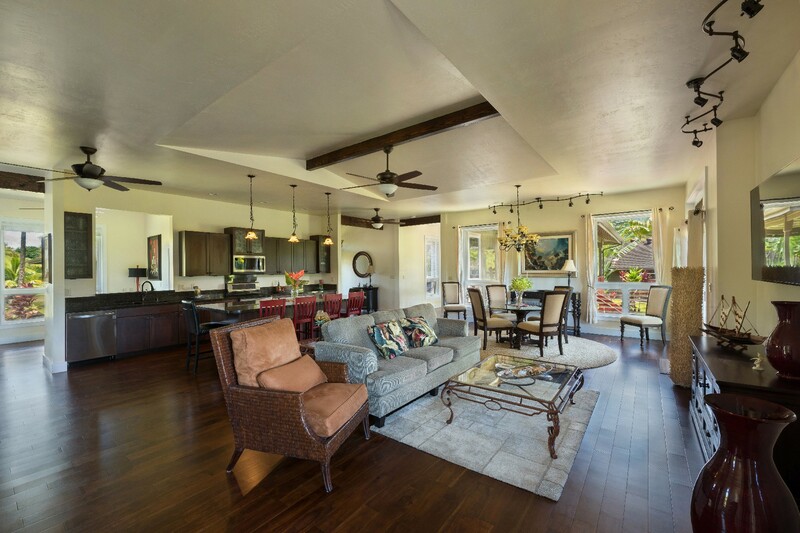 This function has been disabled for Moksha McClure REALTOR (S).